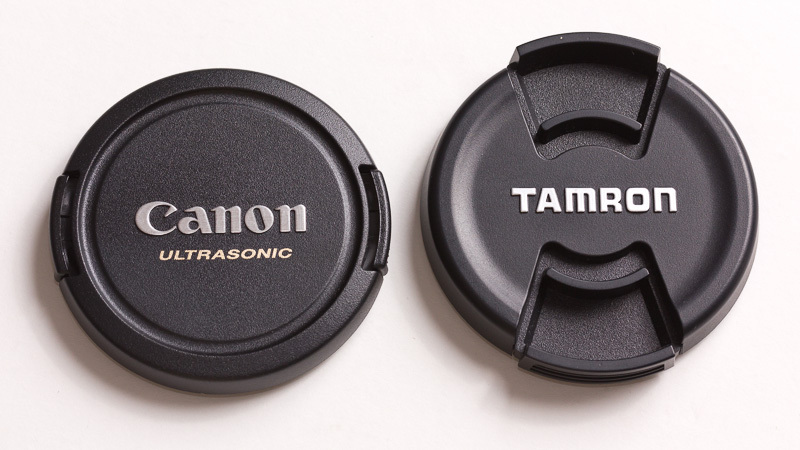 Canon lens caps are the worst lens caps (in my opinion) amongst all lens manufacturers, they are flimsy, weak, difficult to install and take off, and incredibly difficult to use with lens hoods because they don't have a that place in the middle where you can hold the lens cap from. Other manufacturers like Nikon, Tamron, Sigma, Tokina and Sony have similar cap with that middle pinch thingie like the one you see above, when I was shopping for lens caps, I wanted them to be Nikon, they would look contrasty with my Canon gear, but I didn't find all the sizes I wanted. I also liked how the Sony caps looked like, but again, can't find all sizes, and I ended up buying the Tamrons, they are incredibly strong and tight, and I have them for all my lenses, starting from 52mm to 77mm, they are just great. 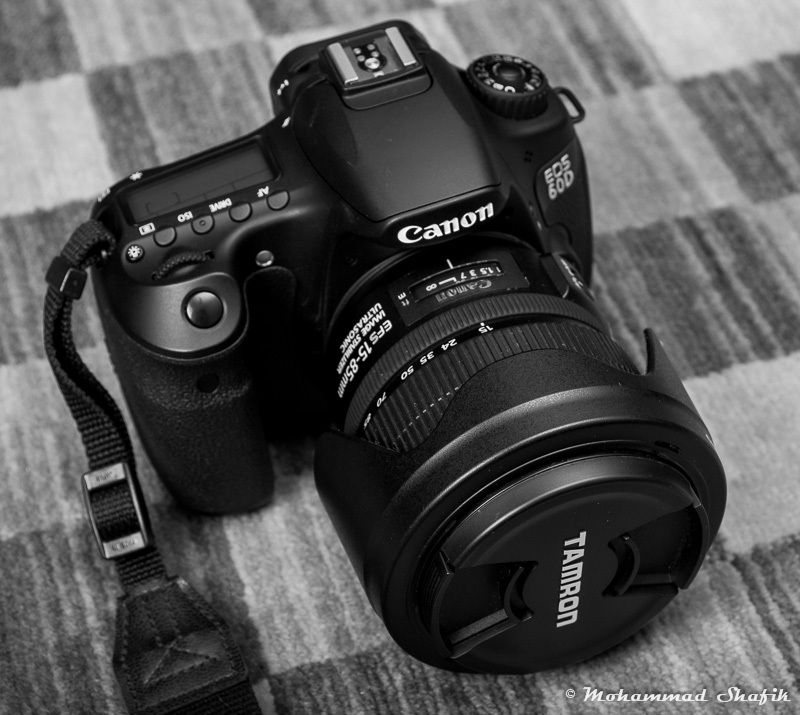 I still believe the 60D is the sexiest looking DSLR ever, the buttons, the curves, and the slanted top LCD screen. The 15-85 with the lens hood reversed looks pretty good itself. Seems like Canon were listening, check out there new Canon Mark II lens caps, now these look even cooler than the Tamron ones, do you know where can I buy them? If you find out where to get the new center-pinch Canon lens cap, let me know -- I'll put one on my Nikon 28-105 :) (as long as it's not too pricey, that is. hehe). Of course I will, I made a thread on dpreview to ask there, I am hoping to get answers.